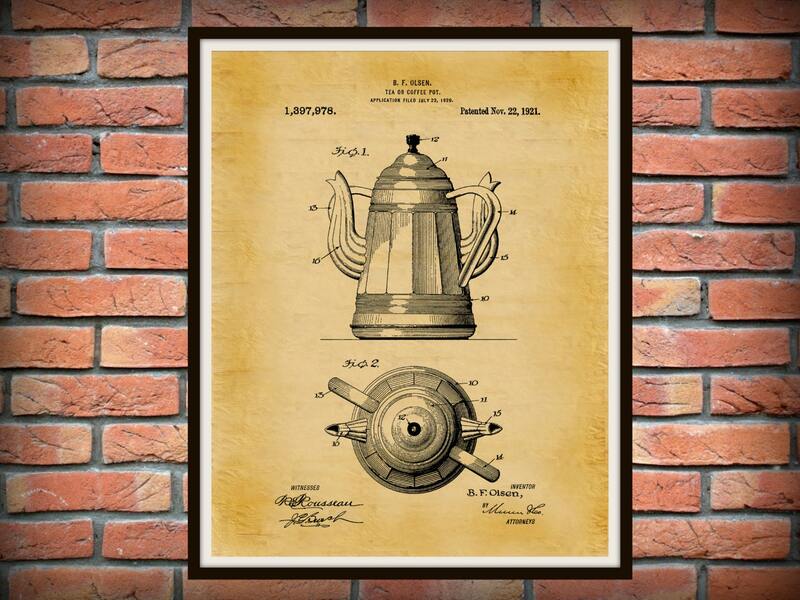 1921 Coffee Pot Patent invented by B.F. Olsen. 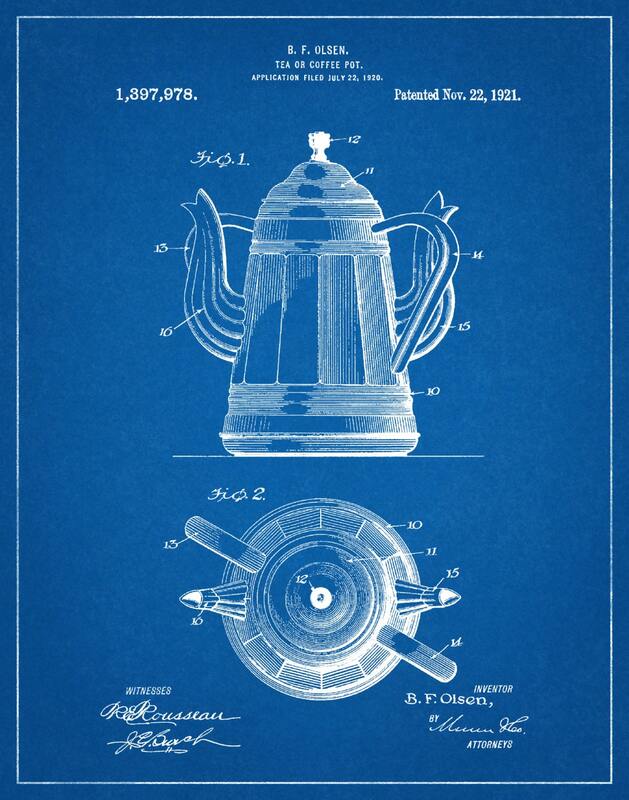 The patent was issued by the United States Patent Office on November 22, 1921. 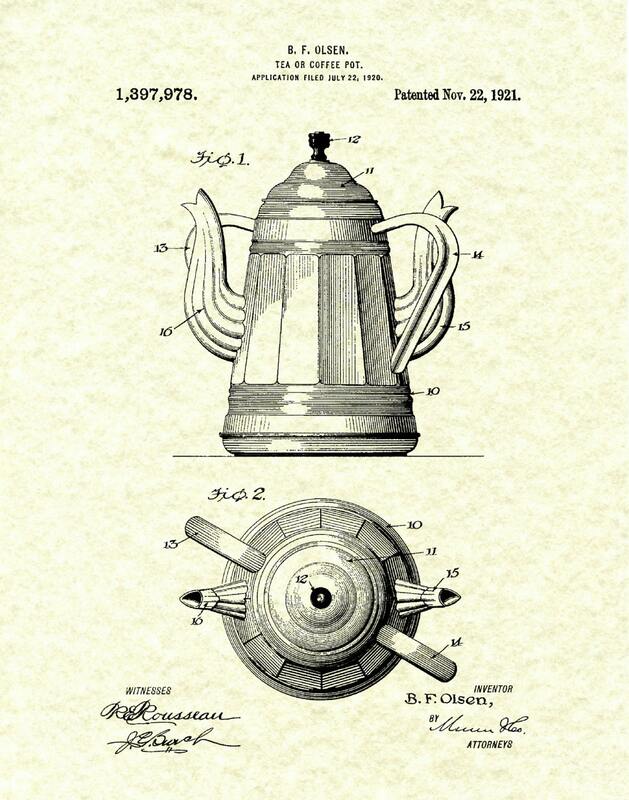 This pot was designed with 2 handles and 2 spouts so that no one would get burned while passing the pot around the table. A very interesting concept.